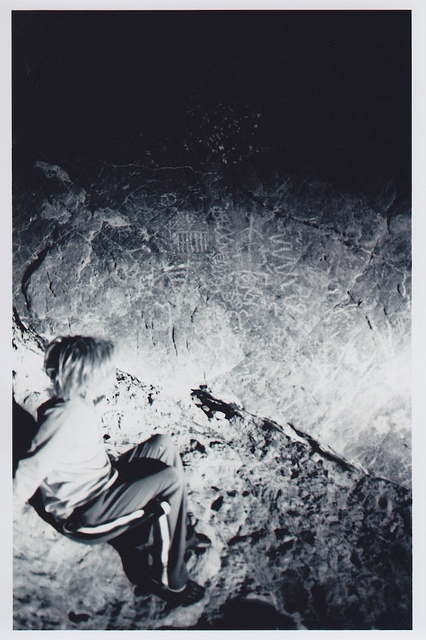 Chas and ancient petroglyphs in Titus Canyon. In the middle of the night we 4×4’d down a narrow trail and caught a glimpse of these of our headlights. Had to stop.